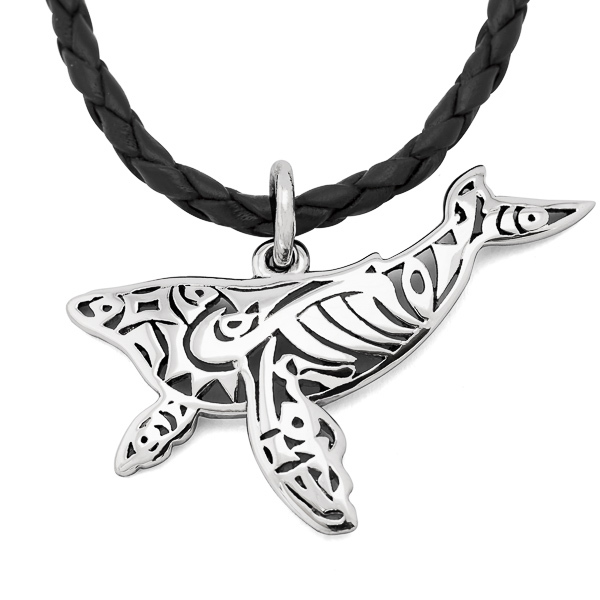 This whale tail pendant is beautifully handcrafted with a fine filigree engraving detailing the flukes. The textured center creates a stunning combination of matte and glossy finishes. This is a unisex pendant, suitable for both men and women. Available in sterling silver or 9 carat yellow gold (white gold and other metals available on request). 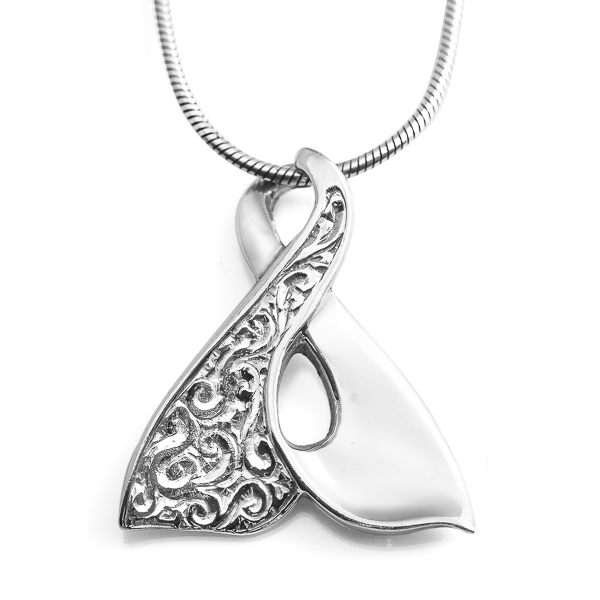 Silver pendant comes on a sterling silver snake chain necklace in our signature World Treasure gift pouch. Gold pendant comes with a complimentary gold coloured silk cord as well as a World Treasure gift box and bag. Free shipping worldwide on all orders.